From all sides of the political spectrum calls are being raised for the establishment of an official commission of inquiry to investigate the Olmert government's incompetent management of the war in Lebanon. These calls are misguided. We do not need a commission to know what happened or what has to happen. The Olmert government has failed on every level. The Olmert government must go. The Knesset must vote no confidence in this government and new elections must be carried out as soon as the law permits. 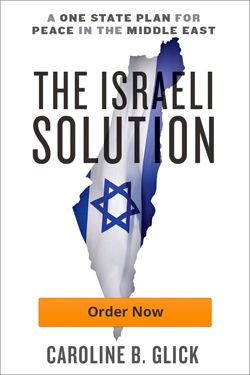 If the Knesset hesitates in taking this required step, then the people of Israel must take to the streets in mass demonstrations and demand that our representatives send Prime Minister Ehud Olmert, Foreign Minister Tzipi Livni, Defense Minister Amir Peretz and their comrades out to pasture. Every aspect of the government's handling of the war has been a failure. Take relief efforts as an example. For five weeks the government ignored the humanitarian disaster in the North where over one million Israelis are under missile assault. The government developed no comprehensive plan for organizing relief efforts to feed citizens in bomb shelters or for evacuating them. And then there is the military failure. The IDF suffers from acute leadership failures – brought to Israel courtesy of Ariel Sharon who hacked away at the General Staff, undermined its sense of mission and treated our generals like office boys just as he decimated the Likud by undermining its political vision and promoting its weakest members. Yet, guiding the generals to make the right decisions and finding the generals capable of making them in wartime is the government's responsibility. It was the government's responsibility to critique and question the IDF's operational model of aerial warfare and to cut its losses when after two or three days it was clear that the model was wrong. At that point the government should have called up the reserves and launched a combined ground and air offensive. But the government didn't feel like it. It wanted to win the war on the cheap. And when the air campaign did not succeed, it abandoned its war goals, declared victory and sued for a cease-fire. When the public objected, after waiting two precious weeks, the government called up the reserves but then waited another unforgivable 10 days before committing them to battle. All the while, Foreign Minister Tzipi Livni did her best to demoralize the IDF and the public by publicly proclaiming that there is no military solution to what is clearly a military conflict. OLMERT'S DECISION Friday to begin the ground offensive was by all accounts motivated not by a newfound understanding that this is a real war, but by the headlines in the newspapers that morning calling for his resignation. Yet, by Friday, the IDF had only 48 hours to achieve the objectives it had waited a month to receive Olmert's permission to accomplish. Diplomatically, in the space of five weeks the government managed to undermine Israel's alliance with America; to hand Syria, Hizbullah and Iran the greatest diplomatic achievements they have ever experienced; and to flush down the toilet the unprecedented international support that US President Bush handed to Israel on a silver platter at the G-8 summit. The UN cease-fire that Olmert, Livni and Peretz applaud undercuts Israel's sovereignty; protects Hizbullah; lets Iran and Syria off the hook; lends credibility to our enemies' belief that Israel can be destroyed; emboldens the Palestinians to launch their next round of war; and leaves IDF hostages Ehud Goldwasser and Eldad Regev in captivity. Israel's diplomatic maneuvers were cut to fit the size of our Foreign Minister Tzipi Livni who believes that her job is limited to being nice to other foreign ministers when they call her up on the telephone. In an interview with Yediot Aharonot over the weekend, Livni defended her decision not to engage in public diplomacy by claiming that this is not an important enough task for the foreign minister. It makes sense that this would be her view because as one who understands neither diplomacy nor English, she is incapable of conducting public diplomacy. Livni argued that the job of the foreign minister is "to create diplomatic processes" – whatever that means. She also claimed that the best way to gain international support is not by publicly arguing Israel's case, but through back door discussions devoted to developing good relations with other foreign ministers. This is ridiculous. The job of the foreign minister is to defend Israel and advance Israel's national interests to foreigners, not to be their friend. ASIDE FROM the fact that the government's bungling of the military mission meant that Olmert and Livni sprinted to the negotiating table empty handed, the reason that the UN Security Council cease-fire resolution ignores every single Israeli demand is because Israel didn't aggressively pursue its goals. While the Lebanese and the Arabs massed all their forces and pressured the UN, the Foreign Ministry asked US Jewish leaders to say nothing about the draft resolution and to make no public objections to that diplomatic process Tzipi and Ehud "created" with their "friends." And so Israel's positions were ignored. Yet the reason that this incompetent, embarrassment of a government must go is not simply because it has delivered Israel the worst defeat in its history. This government must go because every day it sits in power it exacerbates the damage it has already caused and increases the dangers to Israel. Iran has been emboldened. Its success in the war is now being used by the ayatollahs to support their claim of leadership over the Arab world. In evidence of Iran's success, Egyptian President Hosni Mubarak met in Cairo with Iran's Foreign Minister Manouchehr Mottaki. So now, after 27 years of official estrangement, Egypt is moving towards establishing full diplomatic relations with Teheran. The Palestinians have been emboldened. Hamas leaders and spokesmen are openly stating that just as Israel's withdrawal from Lebanon in May 2000 precipitated the Palestinian terror war in September 2000, so Israel's current defeat in Lebanon will spur the outbreak of a new Palestinian terror war against Israel today. THE AMERICANS have lost faith in Israel as an ally. After he gave Israel every opportunity to win this war, even signaling clearly that Israel should feel free to go as far as Beirut if necessary, President Bush was convinced that Olmert simply didn't want to fight. The Americans were shocked by Israel's performance. They know that we can win when we set our mind to it and were flummoxed when presented with an Israeli leadership that refused to even try. Today we have 30,000 soldiers in Lebanon with an unclear mission. Because of the failure of this government, Israel now needs to contend with an emboldened Hizbullah protected by Kofi Annan. Already on Sunday, Annan sent a letter to Olmert instructing him that once the cease-fire is put into effect, the IDF will be barred from taking action even if it comes under attack. As far as Annan is concerned, resolution 1701 says that if Israel is attacked, all it is allowed to do is call his secretary. Given that both the Lebanese army and the countries which plan to send forces to Lebanon all say that they will not deploy to the south until after Hizbullah is dismantled, it is clear that the military mission is still to be accomplished. tling Hizbullah. But there can be no doubt that it will not be accomplished under this government. There will be time to inquire into what has gone wrong in the IDF. There will be time to fire the generals that need to be fired. But we don't need a commission to determine what we need to do. Because of the Olmert government's failures, ever greater battles await us. As the dangers mount by the hour, we must replace this misbegotten government with one that can defend us.